Transport networks around the world rely on Thales technology and systems expertise for safe, reliable, efficient operations that deliver optimised capacity and reliability. Thales Transportation Buisness is a global leader in main line rail, urban and metro transport, offering advanced signaling and control, integrated communications and supervision systems, revenue collection systems and a comprehensive services and support offer that set the standard in the transportation industry. We help our customers operate infrastructures at higher capacities so passengers and goods can reach their destinations more quickly, more safely, more ecologically and at a lower cost. 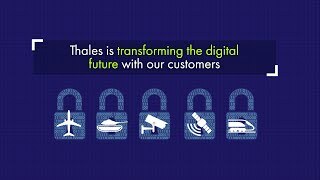 Thales partners with major transport operators in over 50 countries cementing a reputation as a world leader in the provision of mission-critical information systems. We have a unique ability to innovate in partnership with customers to provide smarter solutions and deliver turnkey products, combined with key enabling technologies and a full range of services to the ground transportation systems market. With an unmatched pedigree in delivering rail Traffic Management Systems (TMS) in mainline, urban and metro transport globally, Thales TMS transforms railway operations by increasing capacity, reducing delays, and keeps staff and passengers better informed. 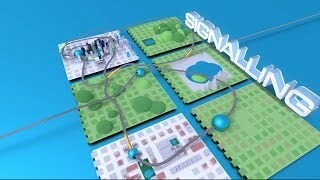 Train control systems using Thales’s AlTrac inter-operable European Train Control System (ETCS) signalling improve energy efficiency, and provide seamless cross-border movement of people and goods. Thales ETCS is used to manage 16 000 km of track – 30% of the world’s railways – with its ETCS signalling system, and more than 1700 stations use Thales electronic interlocking technology. Around the world, Thales ARAMIS manages 60,000 trains per day in complex mixed traffic environments across 16 countries and 72,000 km of track. As the world’s only supplier of nationwide multimodal fare collection systems, Thales fare collection systems handle €15 billion worth of ticket payments every year in over 100 cities around the world, on 2000 stations and 20 000 metros, buses, and tramways. Thales has more than 35 years of experience as a designer of centralised traffic management systems. We provide highway authorities and road operators with state of the art solutions and technologies to build better traffic infrastructures. Our products offer high levels of operational safety and security for people, data and all associated financial transaction. Thales has a truly global reach with our systems helping major transport operators in 50 countries maximise their network capabilities, efficiency and passenger experience. Please read more on our references on our website. CBTC Unattended Train Operation (UTO) for one of the world’s longest metros – Vancouver Sky Train. 3 railway lines into revenue service simultaneously – a world first– Shanghai lines 6, 8 and 9. Our solutions have also been successfully deployed in Auckland (regional and national), Bangkok, Beijing, Delhi, Hong Kong, Kuala Lumpur, Manila, Nanjing, Shenzhen, Singapore, Taipei and Taiwan High Speed Rail. 1st ETCS cross- border link – Vienna to Budapest. Our solutions have also been successfully deployed in Cagliari, Coimbra, Denmark (nationwide), Lisbon, Madrid, Monaco, Naples, The Netherlands (nationwide), Olbia, Oslo (regional), Paris, Sardinia (regional), Strasbourg, Turin and Vicenza.